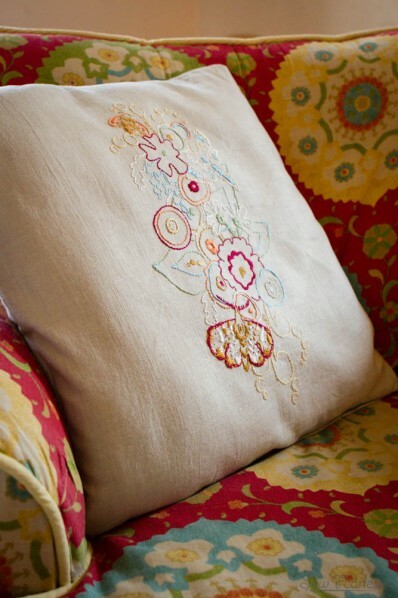 I met Alison Glass‘ gorgeous designs during the spring Quilt Market and I love her style. So, when I needed an embroidery project to bust my boredom with during August, I ordered her pattern and sent Andy to the store to pick out floss that matched my chair. He did good, didn’t he? It is nice to have a visual artist as a spouse. I was especially proud of him for finding the linen-looking fabric for the backing, which is actually curtain lining. It was exactly the feel I was going for. This is the first time I used an iron-on transfer pattern and it was so very much easier than any other method I tried before. The transfer ink was rubbing off very quickly, but when I discovered it fading, I traced it over with a friXion pen. I will be looking for iron-on transfers in the future for sure. I’ve been enjoying having this beauty in my living room. 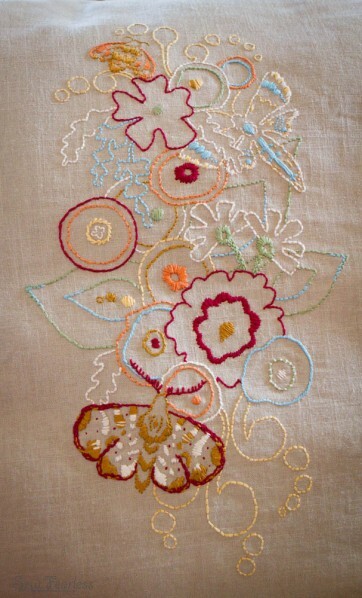 It is a happy by-product of a lame summer on the couch. Really pretty! You and your talented husband make a great team! Iron-on transfers are the bomb-diggity! That is really beautiful! 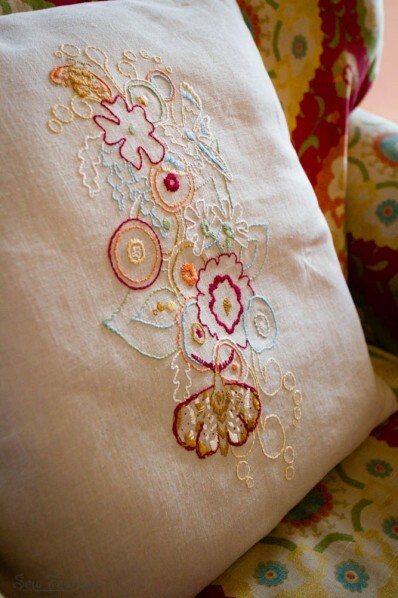 Gorgeous stitching, and your husband did a great job picking the floss and fabric! I probably wouldn’t have looked at that pattern twice but I want to get it now that I’ve seen your version! How beautiful!!! Now I need to check out Alison Glass’ work for myself. 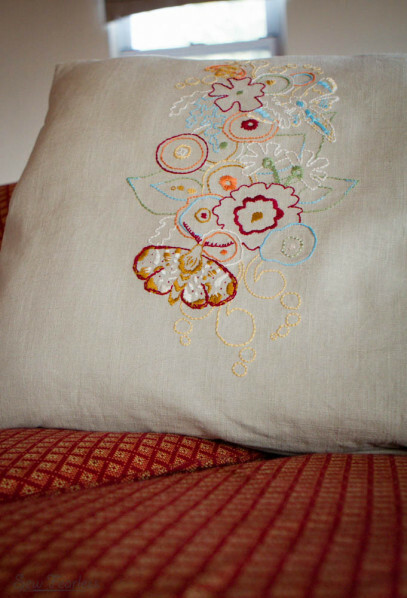 Your stitching is lovely and your husband did an amazing job choosing the components for you. Thanks for sharing!